A helicopter search and police pursuit resulted in two teenagers being arrested in Angmering on Sunday, police have confirmed. Sussex Police confirmed officers recovered a stolen vehicle following the pursuit. Officers were alerted to the location of the vehicle in Beech Way, Angmering, around 1.30pm on Sunday (January 20), police said. The vehicle stopped shortly after the police pursuit and three men fled from the scene, according to police. A police helicopter assisted with a search of the area before officers detained two teenagers at the nearby Angmering High School, police said. 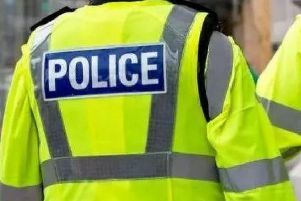 A 17-year-old boy from Angmering was arrested on suspicion of going equipped for theft, burglary other than dwelling with intent to steal and possession of a class B drug, said police. A 16-year-old boy from Angmering was arrested on suspicion of possession of an offensive weapon in a public place, theft from a motor vehicle, burglary dwelling with intent to steal and burglary other than dwelling with intent to steal, police said. Both have been released under investigation and enquiries are ongoing, confirmed police.